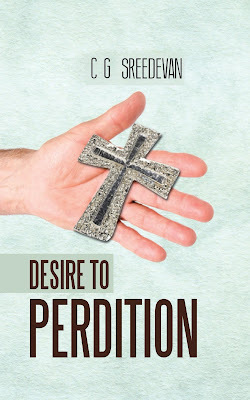 Book Review: Desire! Every human has it and craves for it but ever wondered how it could lead to something as ghastly as Perdition? Well, the story is about an Indian middle class boy named Sijill John who is just another average guy going through his teens in the initial chapters of the book but as the prologue suggests something sinister through the past perfect which led to his present condition and state of mind. The book is lengthy but is recommended for most teenagers and above as the writing is simple, easily understandable and yet imaginative. Also, the author goes satirical with his takes on the evils in the society and portrays them well through some of his characters. So, grab a copy now and unlock the inspiring life of Sijill John.